Most of the recent posts are all about food. Not that I have nothing to write but since I have been going to new food place, I think I need to capture a bit of the memory before I forget which place I have been to. Recently, I discovered this wonderful thing called ala-carte Japanese buffet. I have always thought buffet is those available in the hotels restaurants or in Chinese restaurant but didn't know that it also exists for Japanese food. Quite surprising since Japanese food is pretty expensive. And another interesting thing I discovered was that there are actually a few outlets offering them and almost all of them price the buffet at S$35.00 which is pretty affordable. 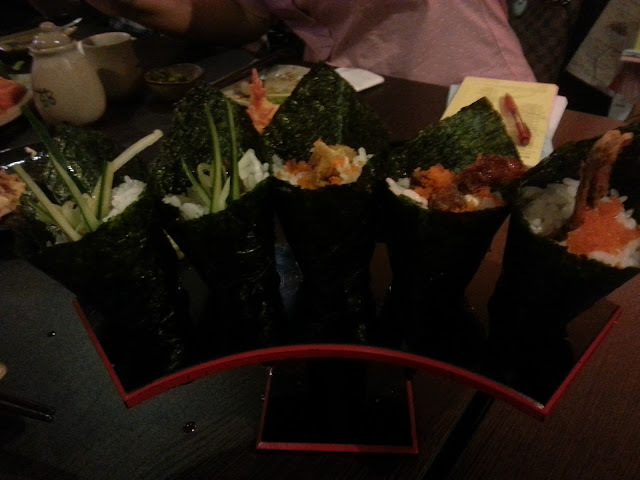 The first place we went to was Momoya in Bedok. The next place was Shin Minori at UE Square and next month will be going to Ikoi at Miramar Hotel. 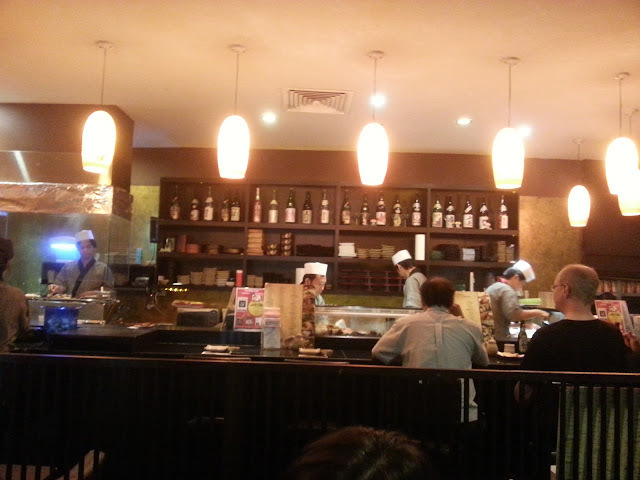 The first thing that strikes me when I walked into Shin Minori is that it is quite dimly lit. 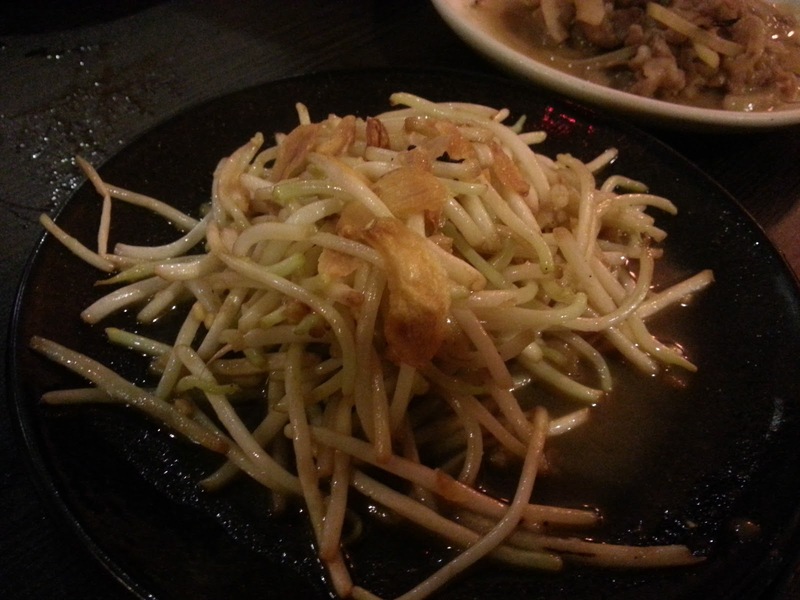 It was worse at Momoya which is why there is no photo of the food at Momoya. Shin Mimori has a nice counter for customers to sit and watch the chefs prepare the food. But because our group was big, we didn't sit there. They have a menu listing all the food available. The menu is nicely divided into the different type of Japanese food but the prints are so small and in the dim light, it was so difficult for old Uncle like me to read so I left it to the younger folks to just order and I just eat! 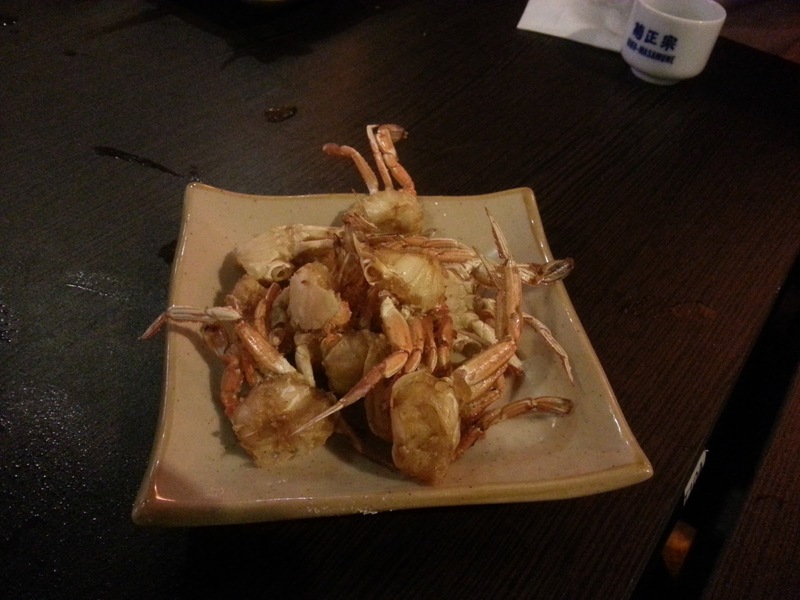 One of the items available is the "One mouth" crab. Didn't know what it was or what specie of crab it was until the food came. Why One mouth crab? Because the whole crab is so small it can eaten in one mouth - shell and all! 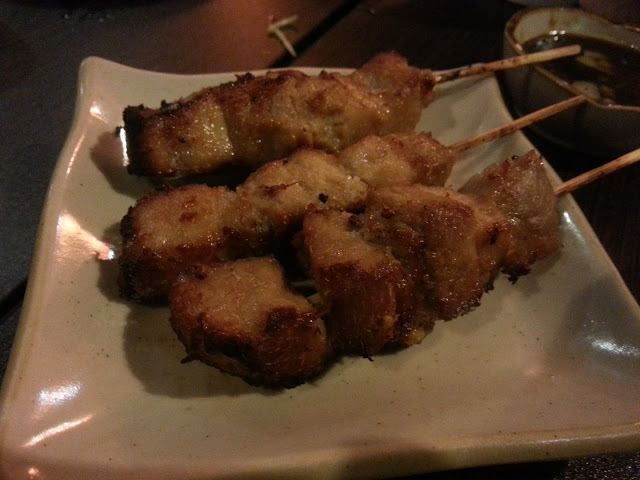 One of our favourite was the grilled pork belly. Sort of like our satay without the sauce. But the fat was really wobbly fat. Still we had 3 servings of it. They even have a very simple dish like the taugay. 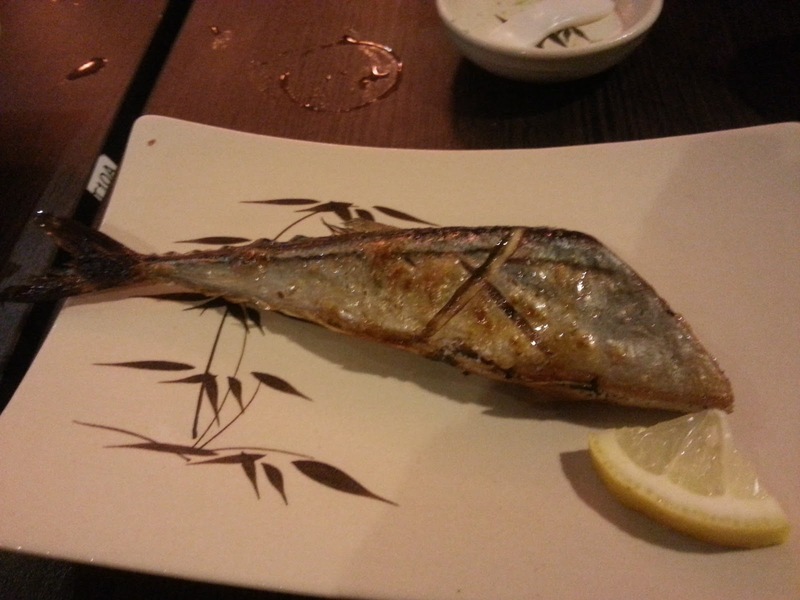 We also ordered the grilled mackerel. It is one fish per order and again we ordered 3 to share among the 8 of us. One of my favourite is the handroll. There are not much variety available but what they have comes nicely presented in trays. 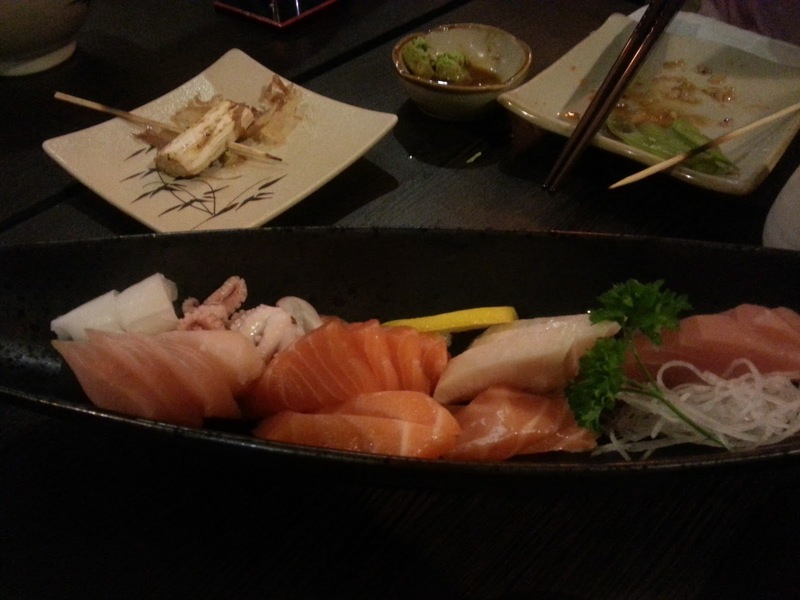 The best was of course the sashimi. They have almost the full complement of fresh fish and cuttlefish as well. We also had pizza, soup, skipped the udon and ramen but still left feeling very full. Really good value for money considering the amount of food we gobbled down.